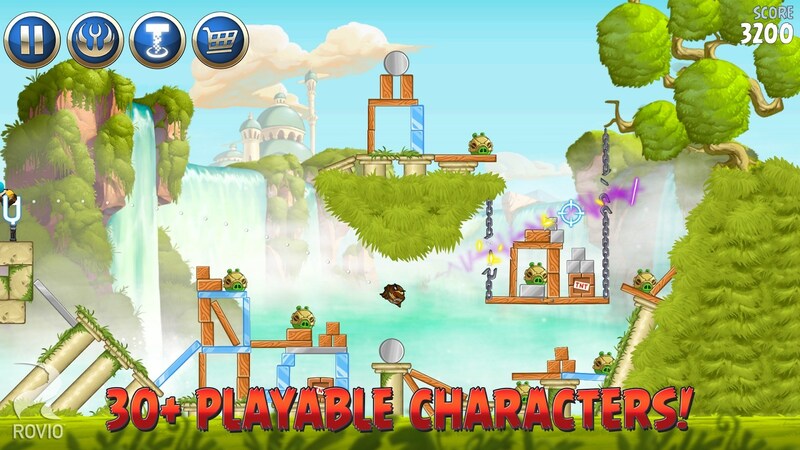 Angry Birds Star Wars II – Games for Android 2018 – Free download. 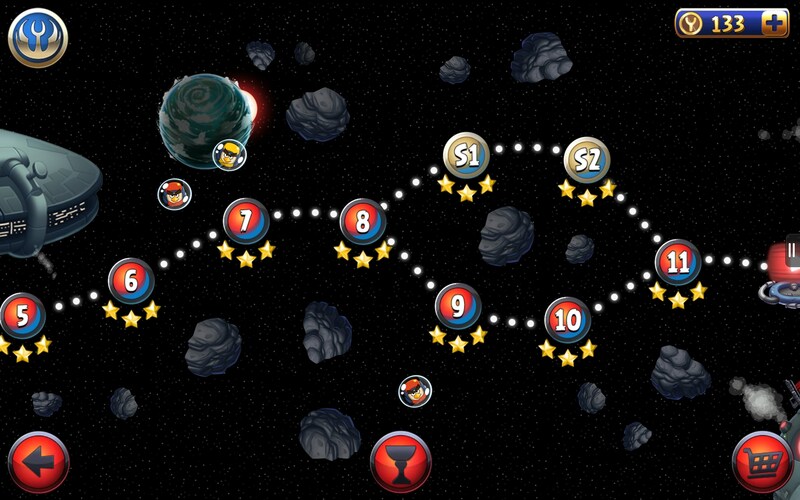 Angry Birds Star Wars II – Excellent sequel to the original ABSW game. 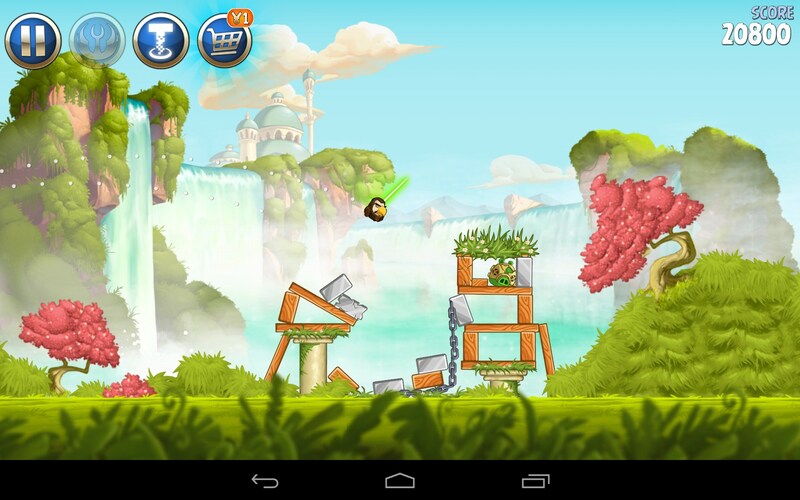 Angry Birds Star Wars II for Android, oh how I love thee! 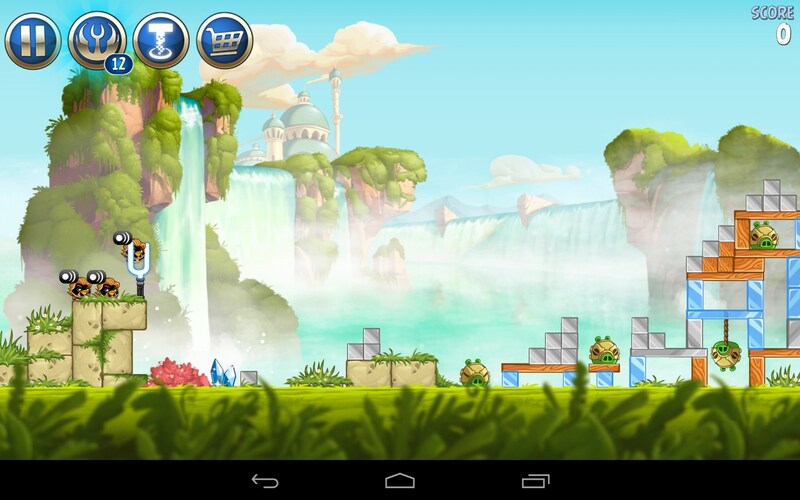 You are the epitome of mobile app gaming and my every dream come true. Well ok, not really, but you get where I’m going with this. 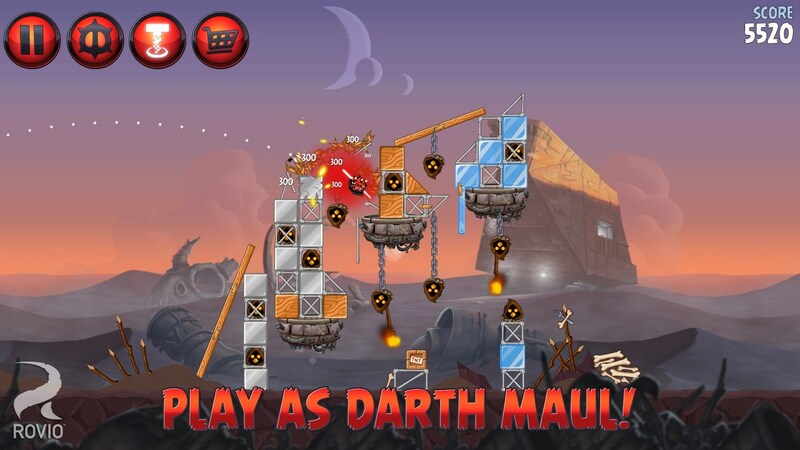 Angry Birds Star Wars II is my second favorite mobile app, right next to Angry Birds Star Wars. Yes, I am pathetically geeky. This game sequel actually covers the first three movies in the series; episodes 1-3; while the first game covered episodes 4-6. 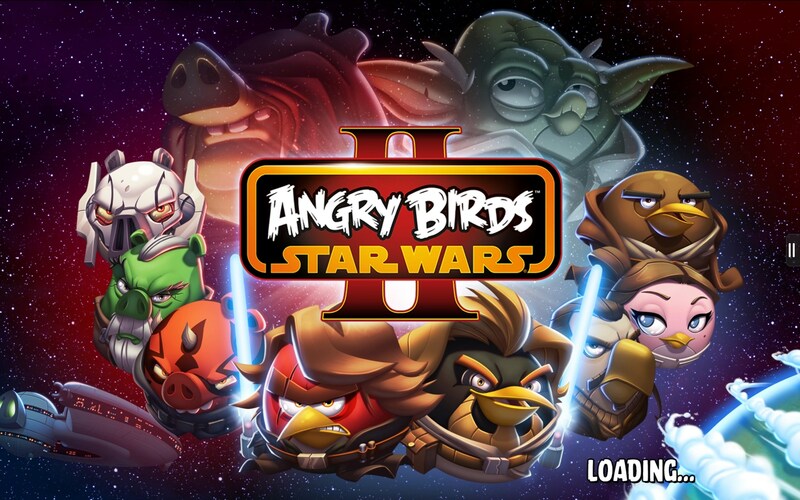 The cool thing about this one, is you can choose to play on either the Pork Side of the force or the Bird Side. (Dark or light sides of the force, for any laymen who aren't following.) So right out of the gate, you are faced with a moral question: do you want to be a good Jedi or a bad Jedi? I’m a sucker for a hero, so I chose the good side, but fret not, Emperors in training, because after certain achievements you can switch between both sides and try your hand at being evil too. 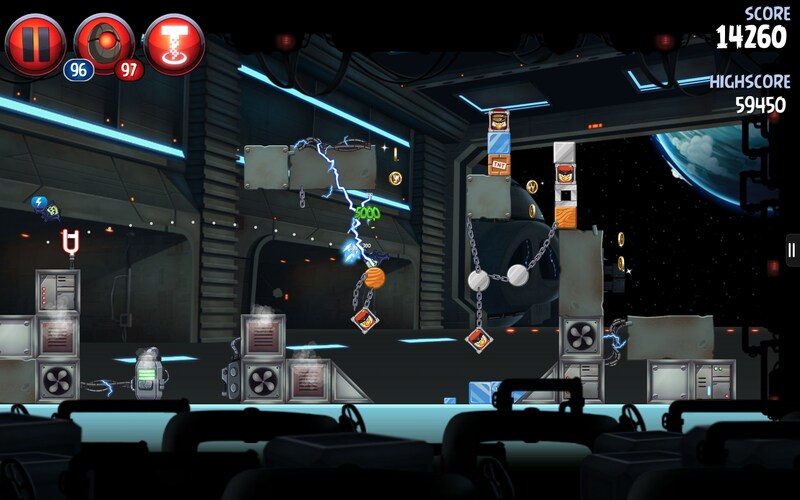 The play is classic Angry Birds, but with a Star Wars twist. 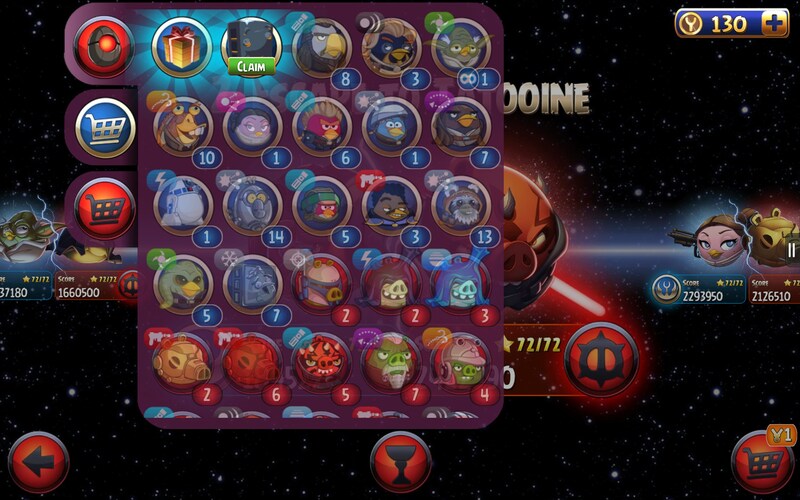 Like the first version of this game, you get to play with all the familiar characters from the movies. 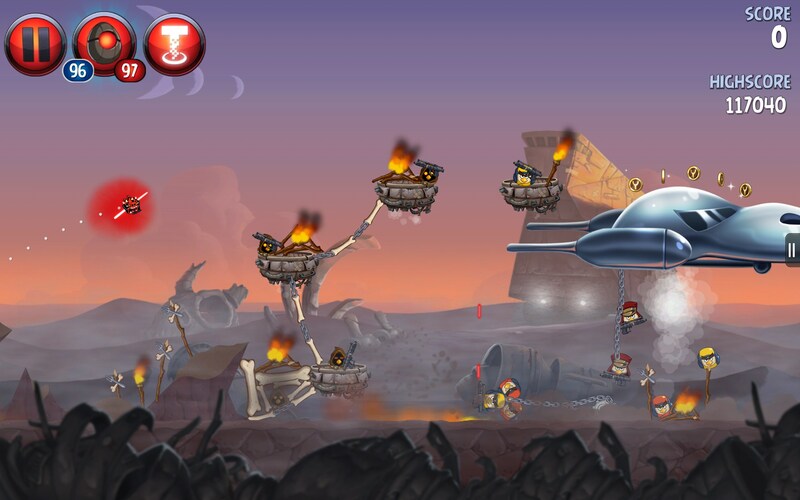 In this one, since it covers the first 3 films in the series, you’re playing with all of those familiar characters. 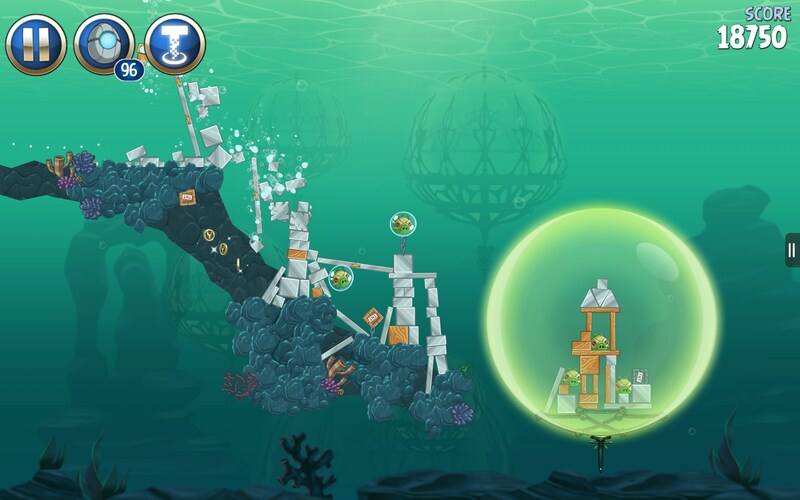 (You don't see much from the classic heroes we all love because, just like the movies, they are seen most in the first ABSW game.) 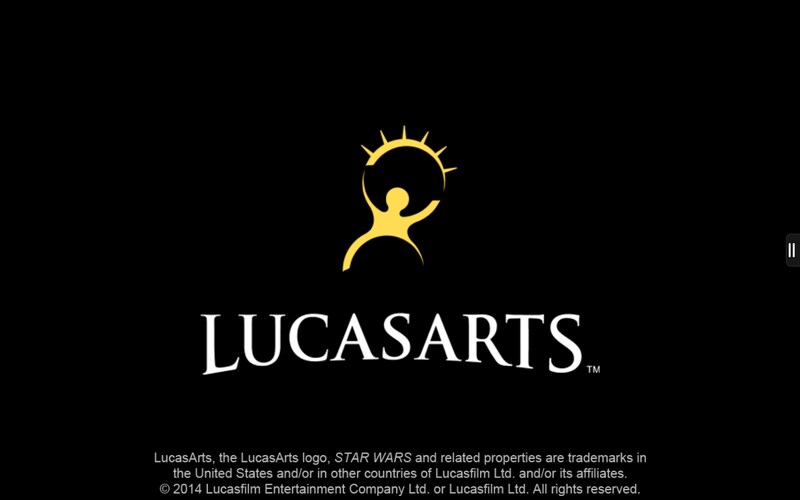 Yes, unfortunately, even Jar Jar Binks is included here. And true to form, he is literally the worst character to play with. I don’t think George Lucas will ever be forgiven by the fans for creating that crappy character, nor do I think he deserves it. 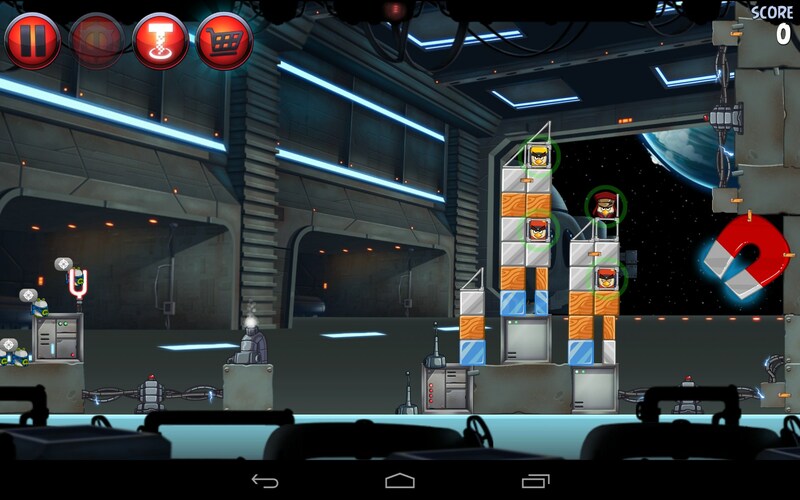 The game features an interactive map of all the levels and has a lot of polish and refinement. 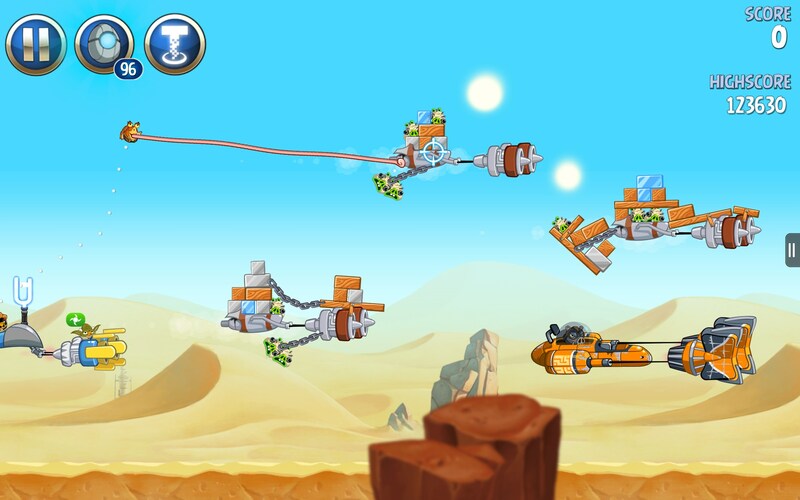 The play is typical Angry Birds; slingshot your Star Wars themed birdies at the mean, evil Federation piggies. 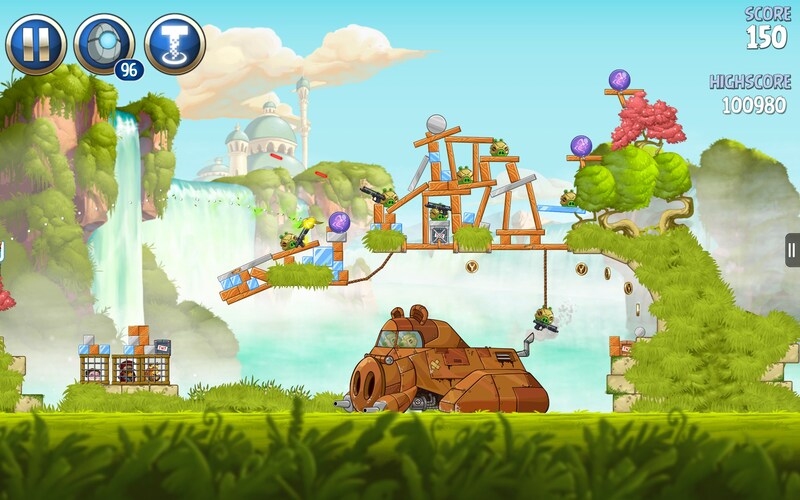 Make stuff go smash and boom, have fun, and drive people nuts with all the goofy sounds, oinks and battle cries. 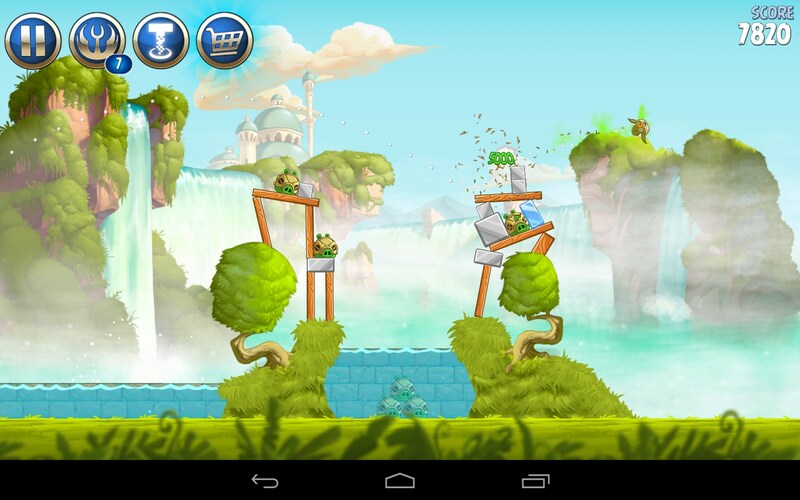 The animation and graphics are stellar, but then, I expect no less from Rovio at this point. 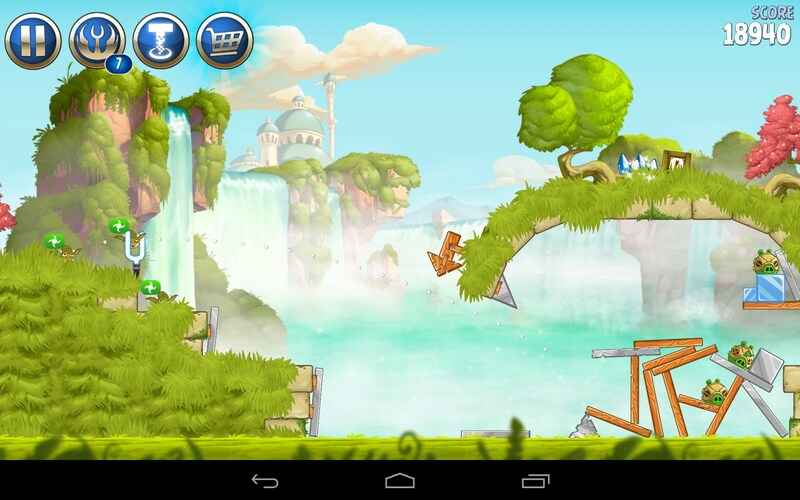 The game has a large footprint, but plays astonishingly well without killing your battery too quickly. Everything renders smoothly and is highly developed and refined. Do yourself a favor and get the paid version of this one. The glitches, if any, are related to displaying ads. So if you like this game, it’s worth a couple bucks to get the full version. And there’s a lot to play here, so it’s a worthwhile purchase. 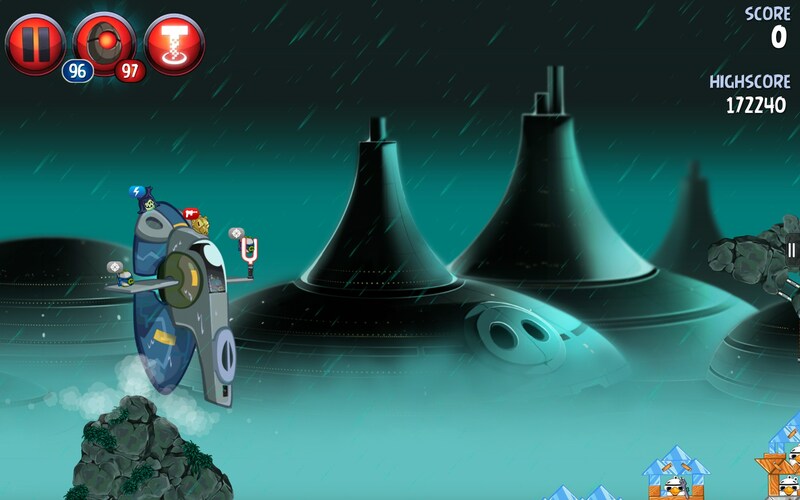 Angry Birds Star Wars II is a favorite app of mine because it’s so well done, not because I’m a huge fan of the first 3 films in the series. (Truthfully, I'm more of a fan of the original movies.) 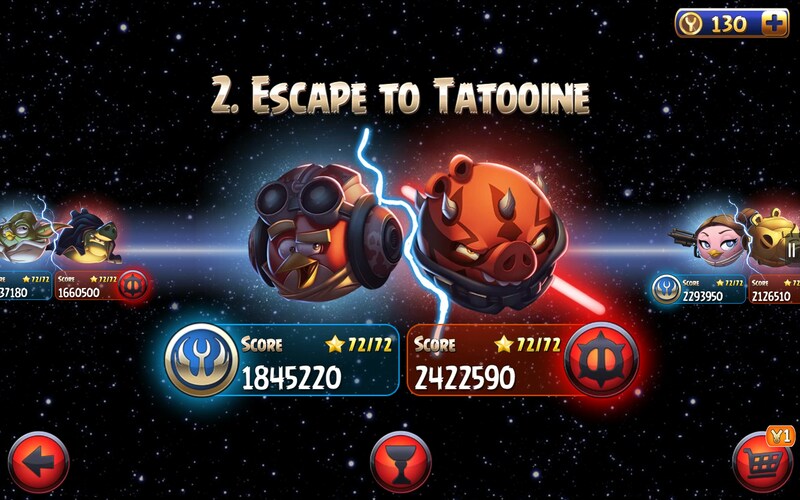 But comparing sequel to sequel, I’d say this app is a better follow up to the first game than the movies are to the original series. I miss playing with all the original characters, but this game is so well developed and fun, that I love it all the same. 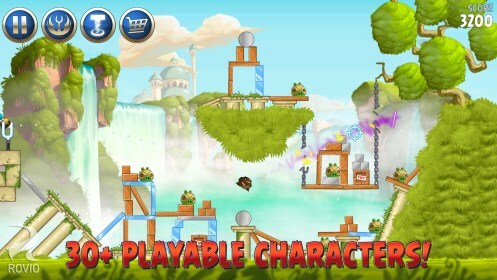 This is the epitome of what mobile gaming can be; loads of fun, expertly developed and presented, and literally hours of fun to be had, all for just a couple bucks. Great game!